Drivers heading towards Derby on the A38 are being warned that there is a broken down vehicle causing "significant delays". 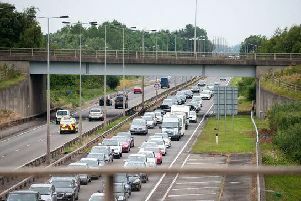 The incident happened just before 11am this morning on the A38 southbound going towards the city, when a car broken down and forced a lane to close. Derbyshire Police are currently at the scene assisting with the recovery, and have warned about "disruption" to traffic while it takes place. 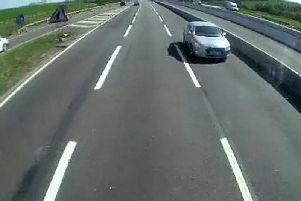 A spokesman said: "We were called just before 11am to a broken down vehicle on the A38 south bound, just before Coxbench. "A recovery vehicle has just arrived (11.25am), with recovery taking place now, and an update will be issued soon. "Traffic disruption is visible and will continue until the vehicle is moved." A Highways England spokesman added: "One lane is closed on the A38 south near the A61 at Little Eaton, by the Derby junction. "Derbyshire Roads Policing is on scene, and there are significant delays on the approach."